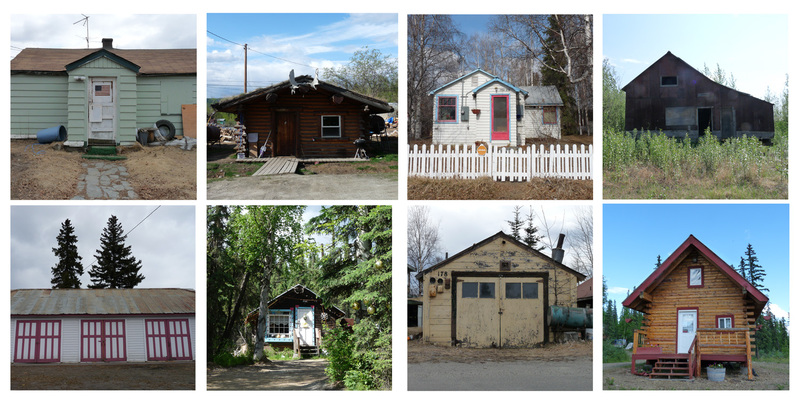 Is the cabin the dominant architectural form in #Fairbanks? If not, then what? @AKbirder @RMurrayPhoto I’m trying to define the various house types here. Log cabin, storybook cottage, 50s nondescript…house. whatelse? @annekristoff, I would say the “moron” home. Their owners continue to add more’on and more’on each summer season. @phillygoat @annekristoff There are also a few igloos covered in that yellow spray-on foam. So pretty. @annekristoff Oh boy, I think there’s one near Steele Creek & Chena Hot Springs Road. @phillygoat @akbirder @annekristoff there’s also the space needle house on McGrath. @phillygoat @gimpi @annekristoff I have a friend that partied in that space needle man-cave, at least until the guy died falling from it. @phillygoat There was a big gap between the elevator and the platform. Didn’t mix well with alcohol, sadly. @phillygoat Be sure to include a permafrost house. There are several, complete with junk in the yard, on Farmer’s Loop. @AKbirder @phillygoat wth is a permafrost house? @annekristoff A house built improperly on permafrost that sinks into the ground as it melts from the house’s heat. All caddywompus. More to come, including photos, in a few days. A question in the meantime: Do you have a favorite “FairbanksHawt” house or structure? This entry was posted on December 7, 2011 by AK in alaska, architecture, community, musings, seen, Uncategorized and tagged alaska, architecture, community, musings, storify, twitchat, twitter.